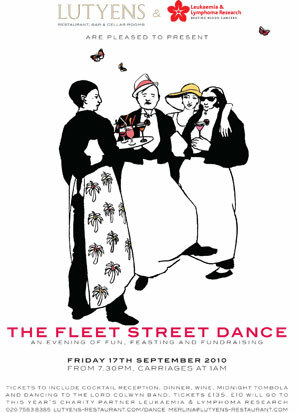 Lutyens restaurant is holding a very special fundraising event ‘The Fleet Street Dance’ on the 17th September in order to raise money for Leukaemia & Lymphoma Research. The organisation celebrates their 50th anniversary today, having achieved a great deal, so come and join us for a fantastic fundraiser to raise even more towards their work! The event promises to be an evening to remember, with a cocktail reception featuring specially designed drinks by award winning cocktail barman Julian de Feral, a delicious dinner menu created by head chef David Burke, with wines to accompany the meal carefully selected by head sommelier Andrew Connor. The Lord Colwyn Band will be providing music for the occasion, with tickets costing £135, which includes a donation to the charity. 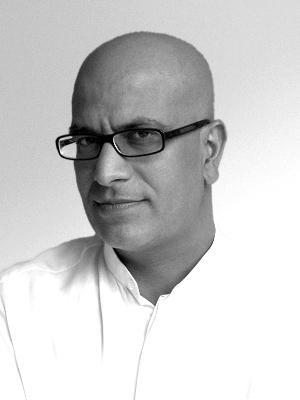 Here is Azhar, Director at Conran & Partners, talking about anything and everything to do with Architecture…..
Before I get onto posting my thoughts, likes, dislikes and dreams on the wonderful world of architecture, I thought I better explain to you why I think I am qualified to share my views with you…. I have now practiced architecture internationally for 20 years, where I have worked all over the world on some fantastic projects that cover master planning, infrastructure and individual buildings. My real passion, however, is for environmentally sensitive design. And by that I don’t mean the ‘green wash’ I mean genuine sustainable design from concept to completion! In addition I have also spent time developing my knowledge in off-site manufacturing, emerging technologies and in particular adopting technologies from automotive, naval and aviation sectors for use in the architectural sphere. We live in a very exciting time, in an era of overwhelming information and counter-information. Here, I will explore my passion for the “built environment”. Architecture is one protagonist in the screenplay that creates cities, in fact, recent statistics state that currently more than half the world’s population live in cities, within the next quarter century, 75% of the world’s population will live in cities! This mass urbanization is so unprecedented, that we really do need intelligent, innovative solutions to create new modes of operation. Reflecting on the past is a very useful way of understanding what has happened, but it is not necessarily a very good guide to the future. Here I will be speculating, exploring and finding clues that give us a glimpse into possible futures! Conran: Conran and Partners wins at the Dogs! 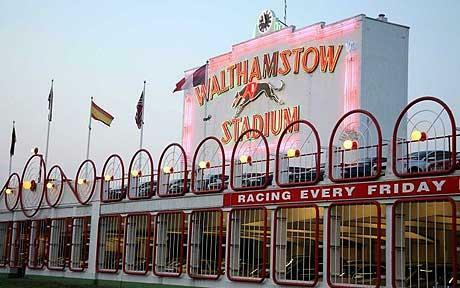 We are very excited that Conran & Partners has been commissioned to lead the redevelopment of Walthamstow Stadium in east London, the iconic, partially listed 1930s greyhound stadium, which closed in August 2008. 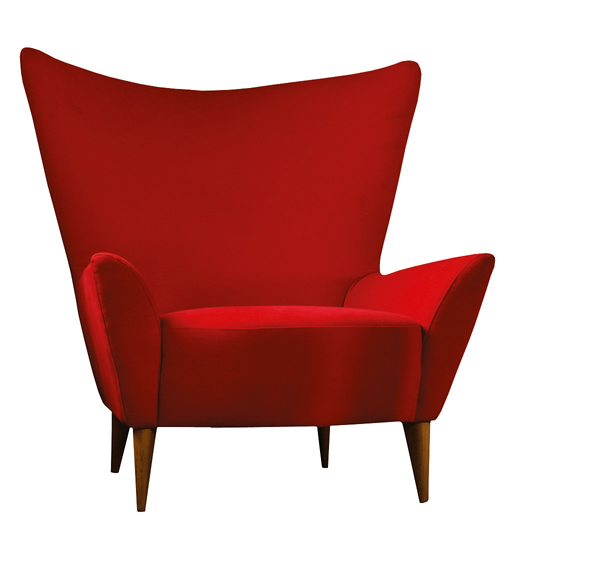 Did you know you can get your very own bespoke piece of Conran furniture? Take any fabric of your choice down to Content by Conran and they will use it to upholster any model in their range of fabulous contemporary and contemporary classic pieces. Why not try a Matador in an eye-catching geometric or go floral on a 59th Street? Conran: Blueprint is 21 this month! 21 years ago Terence launched the Blueprint Cafe after moving the Boiler House (an exhibition space dedicated to industrial design) at the V&A to a deserted warehouse at Butler’s Wharf in 1989- now the present day Design Museum. 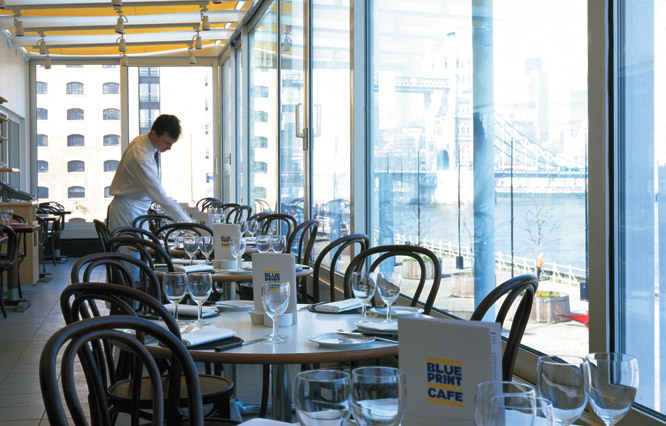 Now under the management of D&D London the Blueprint cafe , just around the corner from us in Shad Thames, is one of our favourite eating spots and perfect for a relaxed lunch meeting. The wine is crisp, the view is fabulous, and thanks to longserving Head Chef Jeremy Lee, who has been there for 15 years, the food is superb; salt cod salad, breast of lamb, crab cakes, broad beans, peas and bacon, and extravagant use of a parsley and mustard crust, as well as some really good ice creams and sorbets. Plus we love Jeremy because he sometimes brings us cake. Absolutely no one can resist his chocolate brownies and divine carrot cake with frosted cream cheese icing. The restaurant is 21 this month and here’s a lovely piece in The Telegraph all about it! Everyone’s talking about them. Have you tried them yet? The bus beeped – I fancy as a cheery toot of bonhomie – as I calmly negotiated an intricate central London junction at rush hour. My sturdy, handsome steed was unhurried almost nonchalant. As a chancer pedestrian, an anarchistic cyclist or a stressed, ‘Oh dear, oh dear, I’m late’ driver, the tarmac of London is the stage for many operas and dramas. 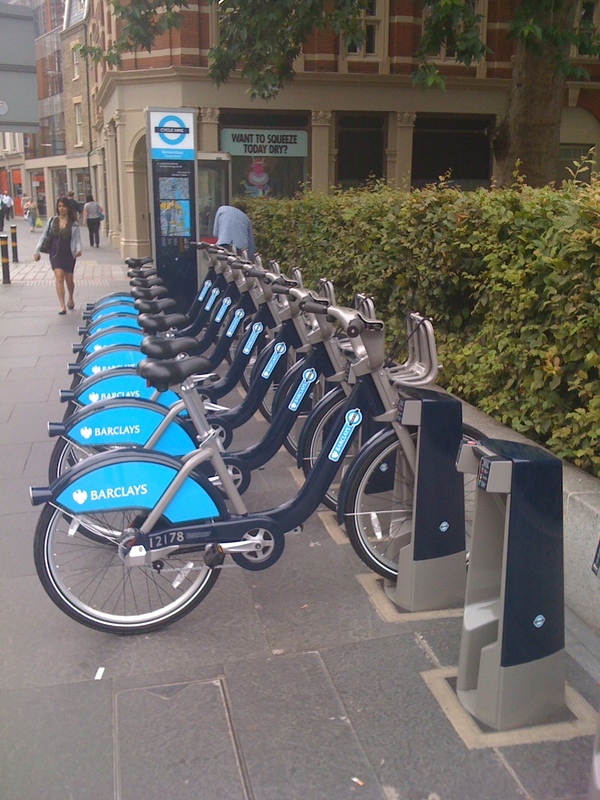 This new mode of transport (I’m giving these Boris bikes a whole new category) is a welcome addition and I wonder whether the effect of this road pacifist will be to make us all more liberal and understanding of our fellow movers?